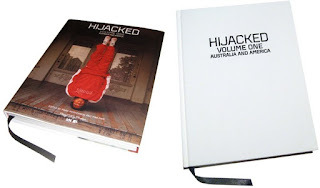 Providing a voice for some of the most exciting and provocative new photography from Australia and America, Hijacked takes a road less travelled. The exhibition erases traditional boundaries between art, document and snapshot to point towards the future of contemporary photomedia. Shunning repetitive and predictable curatorial structures, Hijacked’s aesthetic is driven by the mindset and energy of young and emerging practitioners. Embracing the prevailing wanderlust of their generation, their work exhibits a fascination with international subcultures, fragmented trends, alternate life styles and urban landscapes. The exploration of suburban pleasures is placed on par with ‘high’ artistic experimentation. 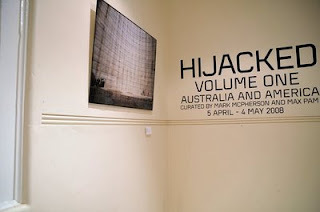 I'm proud to be included in the Hijacked exhibition and publication, which features the work of some of my favorite contemporary photographers. Check them all out below and celebrate the new future of photography. 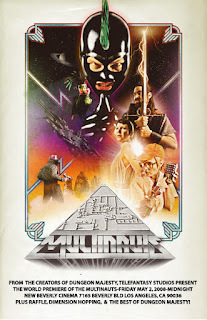 A year in the making and the premiere of THE MULTINAUTS has finally arrived. Phhhhew! I have survived neary 2 months of working 'round the clock on special fx, but well worth a dream come true. Please come by the premiere if you are in the Los Angeles area Friday May 2-MIDNIGHT New Beverly Cinema 7165 Beverly Blvd Los Angeles 2 blocks West of La Brea. This is the proudest moment in Telefantasy Studios history. THE MULTINAUTS Episode One: Three heroes from different time periods are picked up by a holographic spaceship and sent on a mission to rescue Falco Quasar, a colony pilot, when they are attacked by a mega corporation and it’s mutant empire.